The Art staff here at Bourne Community College are a dynamic team and are all practising artists. Art is a lively subject that enables students to explore a wide variety of materials, styles and techniques, informed by different artists, cultures and genres. Students show creative risk-taking through their work, projects are designed to develop these skills. 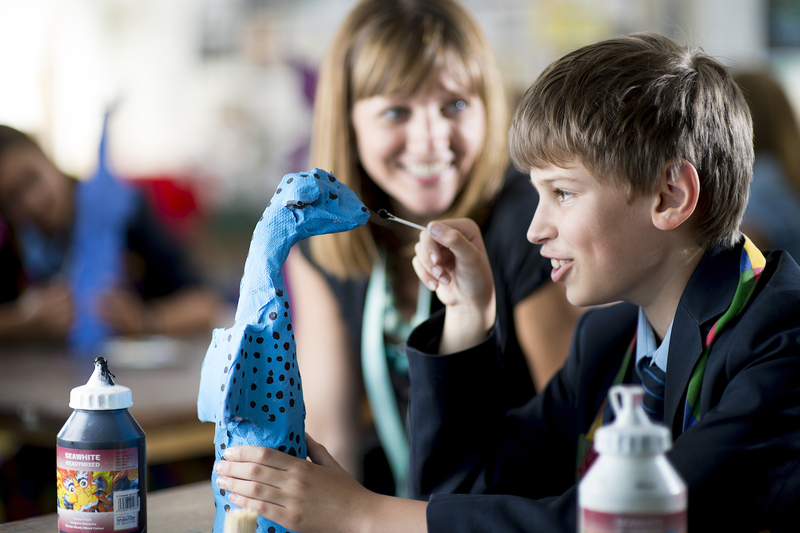 KS3 Art projects are designed to mimic the GCSE course framework encompassing four areas of learning within each project. Projects are scaffolded to allow students to build confidently on previous knowledge, skills and understanding within the subject. Students develop skills in painting, drawing, print-making, textiles, stencilling, mixed-media and varied 3D materials. Assessment Objective 1: Artist/Culture/Genre research. Assessment Objective 2: Experimenting and exploring ideas, reviewing and refining ideas. Assessment Objective 3: Recording of ideas and observations through drawing tasks and photography. Assessment Objective 4: present a final piece informed by the development of ideas shown through the 3 other Assessment Objectives and making clear links to artists that have informed and inspired own ideas. Note-making to document thoughts and further demonstrate understanding of own and others’ work, is a vital part of their sketchbook work and artist analysis should be completed for each artist studied. complete Assessment Objective 4 – this takes place over the course of 2 school days. GCSE students are invited to attend after school class on a Monday from 2.45-4.30, to continue with their coursework and make use of all art materials and receive further support with their work. The Head of Art, Mrs. Cluff, has created links to develop art within the local community, securing funding and sponsorship and creating local partnerships. Community artwork on display can be seen at Chichester station on platform 2 and Bosham station also platform 2. At Chichester, the artwork was made in conjunction with WSCC focusing on promoting ‘Active Lifestyles’ in teenagers and young people. The artwork at Bosham is a celebration of our local community, a tree made up of names and fingerprint blossom. These wonderful opportunities are created for students to participate in. Through projects taught, students have opportunities to contribute to beautification projects around the school site. Local artists have worked with GCSE students to create a large willow sculptural tree at the entrance of the Barnes Building, whilst other GCSE students have created stencils based on their own drawings of Chichester street scenes, applying them to walls around the precinct outdoor space. The artworks are layered in the style of British street artist Banksy, and formed part of students’ coursework. Cross-curricular links are made through Art and this can be seen around the school including work based on UNICEF Rights Respecting School status including a celebratory artwork in the canteen marking our Gold Award achieved in May 2018. These experiences enrich students’ learning and their understanding of the subject. 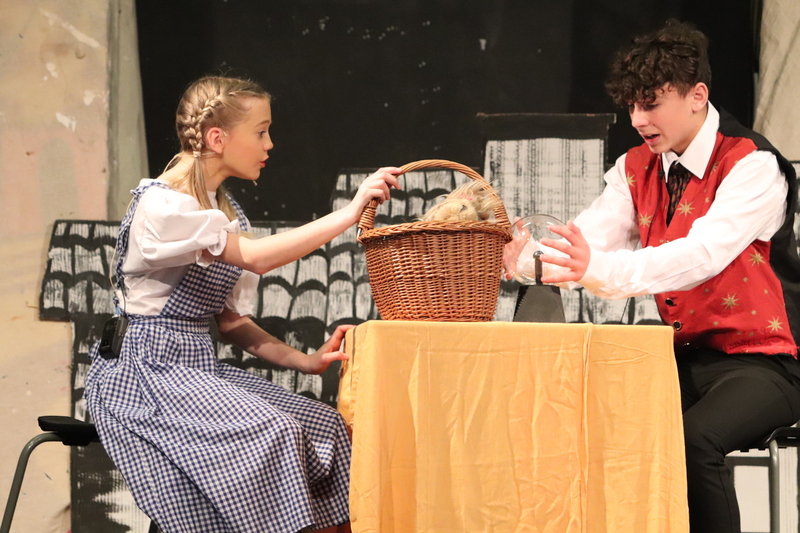 The Art Department continue to seek out opportunities for students to learn outside of the classroom and build links within the community through Art. Mrs. Cluff is currently planning artwork for a local residential care home and further beautification projects for the school site. Students in KS3 and KS4 are involved in these projects.